There is no denying that fact that professional entertainment companies take every step into consideration before putting things in action. 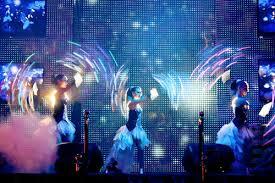 Perhaps your event might need to hire some artists, like performers and singers for a segment your entertainment company had integrated in the event. For that to happen, the event management company will shortlist the best suited artist management agency and will make sure their performers come up with adequate, and entertaining performances. Eventually, all will combine to turn your event into an instant hit.